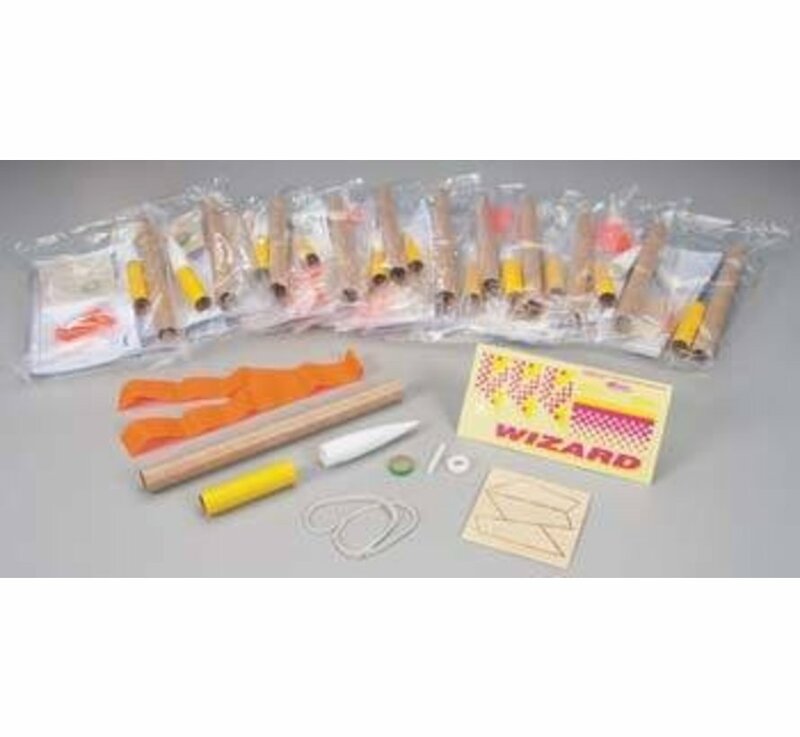 No tricks here and no magical wand needed for this Wizard! This magician is an easy-to-make Skill Level 1 rocket that has wood fins to sand and glue onto the body tube. There’s no engine mount to assemble because the engine is friction fitted snuggly into the body tube. This model also requires simple painting. 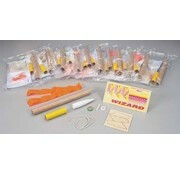 You can use a wide variety of Estes standard engines to launch the Wizard. No illusions here with this rocket’s top flights because it uses a bright orange streamer for tracking and recovery. Launch it to the stratosphere with the Electron Beam Controller and the Porta-Pad II Launch Pad. 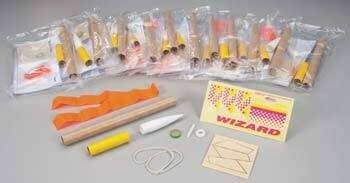 No doubt about it, this sorcerer will cast a spell in every classroom and at every launch field.